After listening to the B8 again yesterday (Wand/BPO/RCA) I was struck how this work may be the most glorious thing I ever heard...perhaps my favorite musical work of all time it is so glorious. I regret taking so long to listen to Bruckner...but better later than never. I like the 7th and 9th alot too...there are still symphonies of his I haven't heard, but part of the fun is discovery. Give it some time and sanity will return . But seriously, it's so great to see your enthusiasm, and remember the days when I just couldn't stop playing the Eighth as well. But lest you think I'm old and jaded, let me give you the even better news: over time the piece will cease to be "the most glorious thing you've ever heard," and take its place "among the most glorious things you've ever heard." Until then--ENJOY! Thanks Dave! I remember when I felt that way about Ives too! By the way, I think I may be also responding to the excellant rendition here by Wand and the BPO...who seemed to help make the work's structure come to light in a vivd way, more than other recordings of this work I've heard so far (I've only heard a few though). Which one? To all we know Herr Kapellmeister Wand (now that's a great name) has recorded B8 seventy-two times (and counting) with BPO for RCA during his Golden Autumn years alone. Welcome to the Bruckner club ! For me it is those adagio movements of B4, B6, B7 (listen to the second theme), B8 that bring tears in my eyes every time I listen. There isn't quite anything like experiencing the great music here. If you have been thrilled and touched by Bruckner then you should try Sibelius next. His music is as deep and soulful as Bruckner and Mahler, but is purer and leaner than either of them - "While others are busy serving all kinds of cocktails I offer only pure, cold water" (to quote Sibelius on his music). Like Mahler his symphonies can be dark (S4th for example) and brooding, but he was most attached to the Nature - the vast, snowy lands and deep forest of Finland - and many legendary tales surrounding it. His last symphony, the Symphony No.7 is particularly an enchanting piece in these respect - a brilliantly unified single movt. symphony with Olympian scale of harmonies and melodies. Along with his last tone poem, Tapiola, the S7th is the crowning achievement in the late Romanticism/Nationalism era. The Eighth is probably my favorite, but the Ninth is so glorious, too. This fall, Stanislaw Skrowaczewski will lead the Saint Louis Symphony Orchestra in the Eighth, and I'm psyched. A few seasons back, I had given up on the Fourth Symphony. It went from a "great" work, to something merely okay. Then I heard Skrowaczewski perform it live with the SLSO. It sounded so good, I didn't want to hear a recording of it. I'm glad he'll be appearing here again. st. anton is among the best for me! Yes, probably Bruckner is my favourite composer - I was listening to Haitink's fiery VPO recording of the B3 this morning on my mp3 player. If you get this and his 1977/8 B7 and 1981 B9 (both Concertgebouw, but not in his boxed cycle, which is earlier) you have three of the best of Haitink in Bruckner. Celi in B4 and B6 on EMI is excellent. For the B8 Sinopoli with the Dreseden Staatskapelle on DG is hard to find now but sounds amazing. Alright, alright - I'll try to contribute something useful here. You see, as I get older and more curmudgeonly (sp? ), I become less enchanted with the standard line of Austro-German symphonists. 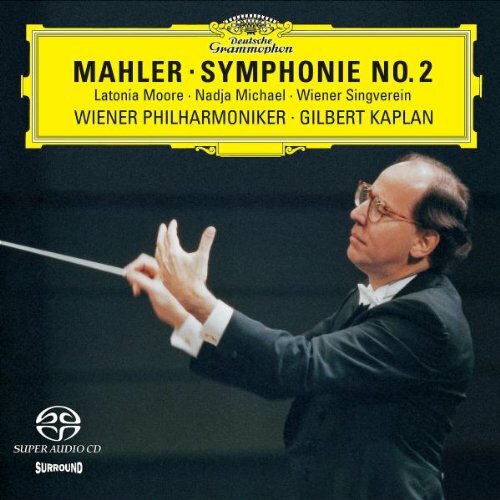 Like Mahler - THE DUDE, as far as I'm concerned - I like the Schumann symphonies about the best of them; that, and the full line of Haydn symphonies. Brahms?/Bruckner? - the less discussed, the better in my book. But allow me to throw something of a wrench into the works now. Even from the very start, I felt that there was something fundamentally wrong with the Bruckner 8th. I've NEVER had that strong, devotional feeling that so many people seem to get from this work. In short, the ending simply isn't strong enough to justify such a long, bombastic, and elephantine work. From a purely technical standpoint, I feel that the first movement is the strongest. Then I discovered the first version (at that time, only the Inbal recording existed of the first version). While the first version is obviously more flawed, it's also far more characteristic of earlier Bruckner. It's very much a younger man's work. Some people can't handle the loud coda at the end of the first movement - in major, no less! - that exists in Bruckner's first version. But I believe that loud appendage in major, much better sets up the rest of the symphony; and thus, the genuine "tone" of the work in general. At the very least, anyone who can look at Bruckner in a more objective, more "historic" context (i.e. academic), has to admit that two fundamentally different Bruckner 8ths exist. I prefer the earlier version because I believe that it far better represents Bruckner's original concept and feelings about the work. I like the recording of the first version with Dennis Russell Davies on Arte Nova. None should be in any way ashamed for an appreciation of Bruckner. And then, there's the matter that Mahler. though he needed money at the time, put off royalties on his first four symphonies in order that the publisher (Universal Edition) could get Bruckner's music published. Surely Bruckner and his music meant something significant to GM. And Barry, I thought you liked Bruckner! I know you like his 9th Symphony...whats wrong with discussing Bruckner I enjoyed reading your thoughts on Bruckner's 8th. I get more enchanted with the austro-German symphonists as years go by...but not to the exclusion of others, like Ives, Gershwin, Debussy, Stravinsky and etc.